Make sure repairs are done right! Avoid Full-Service Test and Remove Companies that Exaggerate Problems and Overcharge for Solutions! Why Same Day Mold Testing? Why Same Day Mold Testing, Inc. (SDMT)? Simply said: Because We Care. We care about landlords with difficult tenants. We care about tenants with uncooperative landlords. We care about buyers and sellers in real estate transactions. We care about property managers and your valued clients. We care about business operators and the customers that patronize your business. We care about families that are concerned for the health of their loved ones. We care about your peace of mind. We perform investigations related to water damage and mold contamination. We perform indoor air quality assessments and produce reports with meaningful recommendations. We investigate water damage, mold contamination and air quality concerns in an objective manner. We avoid the conflict of interest inherent in this business with companies that test and remove. 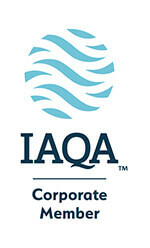 We are a test only company. Visible inspection is performed by a certified mold inspector; moisture and humidity readings are collected; sampling recommendations are offered based on property condition and occupant concerns. In addition, we collect samples and deliver them to an accredited third party laboratory. Lab results interpretation informs the recommendations offered for resolving the issue. Same Day Mold Inspection $350 – Includes moisture readings and a written report. Note: Report delivery time will be dependent upon whether samples are collected and lab result turnaround time. Report delivery is subject to standard reporting deadlines if anything other than Same Day Lab Results are purchased. Inspection appointment is based on a 2-hour window of time in which the inspector is expected to arrive. Inspection fee pays for a visual inspection, relative humidity readings, moisture readings of construction materials, and an inspection report with recommendations. Delivery of report depends on turnaround time of lab results. It can take up to 10 business days for a written report depending on the field workload, lab results and the demands of a “same day” brand. Samples are not included in the inspection fee. Reports are generally handled in chronological order unless there was an expedited lab result for sampling associated with your inspection. Expedited lab result customers will receive their report sooner than someone who paid for standard labs even if that inspection occurred before the expedited customer. A customer that has paid for expedited service has a reasonable expectation to receive his or her report in a accordance with the paid, expedited service. We deliver a state-of-the-art report that include photos of problem areas for repair. See our Gallery for a sample of our report documentation. NOTE: If any portion of your balance is unpaid, no inspection report will be generated. Samples are collected from the air, wall cavities, bulk or from the surface depending on the level of validation sought from the analytical component of the assessment. The per sample testing charge is in addition to the inspection fee. Each job presents its own set of variables that will influence the number of samples recommended. The customer has the discretion to accept or decline sampling recommendations. The lab provides a report of findings. Lab turnaround time starts when the samples are received by the lab. Verbal notification satisfies lab turnaround commitment, which includes call attempted, voice mail, text message and/or email. Square Footage – Same Day Mold Testing may charge an additional fee for inspections over 2000 s.q ft. depending on the situation. Travel – $50 For inspections outside of Los Angeles County, a travel fee is added to the inspection cost. In some instances it may double depending on the county (e.g. Kern County). No Access/Cancellation $200 – 30 minute max wait time. Fee is due if we are unable to inspect the unit or the appointment is cancelled after the inspector is en route. Attic or Crawlspace $150 each – Inspector’s discretion depends on the difficulty of the crawl. Overtime (1 hr. minimum) $50/hr. – greater than 2 hrs on site. M-Th after 5pm, Fri after 3pm. Sampling Media (cassettes, etc.) $10/ea – Samples collected but not submitted to the lab. This also applies if you were unavailable during the inspection to discuss the number of samples. Weekend/Holiday Premium $100 – Flat rate, in addition to any other services, for field or office work related to your project. Legal (depositions, appearances) – $150/hr. 2hr minimum + travel. Must be Prepaid for any appearance to happen. If you are not going to be on site at the time of the inspection and are not a business or property manager, you will need to provide a method of payment prior to the appointment to ensure payment for services rendered. It is advisable to have someone available to discuss inspection findings and to determine the number of samples to be collected. If no one is available, the inspector will collect the samples deemed appropriate and discuss them with you later, so as not postpone subsequent field activities elsewhere. Samples collected but not submitted will be subject to the Sample Media fees. Close doors and windows several hours prior to the inspection. Turn off air purifiers. To ensure indoor air quality is not diluted by outdoor air or “cleaned” with mechanical air purifiers. Remove contents from below sinks to enable viewing of the back wall and cabinetry floorboard. If you book your appointment online and later cancel it, we will issue a refund. You should send us an email as a reminder. It takes normal processing time to see the refund in your account. We pay processing fees twice when customers cancel, so we ask that you be mindful of the expense to us, and that you are certain about scheduling your appointment online. If it’s a matter of rescheduling, you can do that within the original appointment entry. Who is Same Day Mold Testing? Same Day Mold Testing (SDMT) is an indoor environmental testing company that specializes in mold inspections, testing and consulting. SDMT is one of the most reviewed, top rated mold inspection companies in Southern California on Angie’s List, with over 200 reviews. How long has Same Day Mold Testing been in business? SDMT has been in business since June 2005. Yes. SDMT inspectors are certified to perform mold inspections by the American Council for Accredited Certification (ACAC). ACAC is a nationally recognized certification organization for the indoor air quality industry. 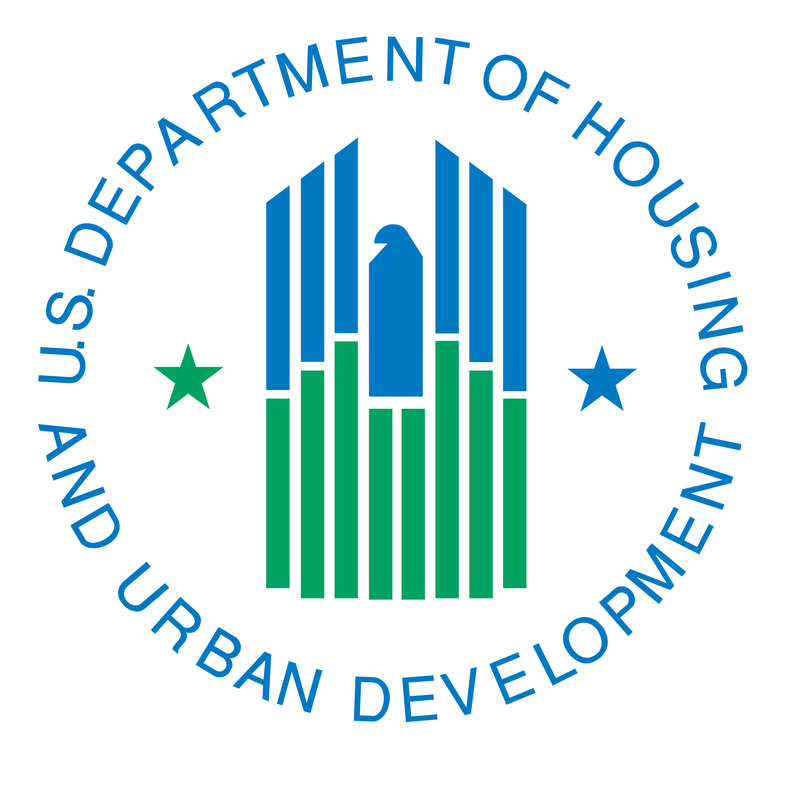 ACAC credentials programs were recognized by HUD’s Healthy Homes website as having the most relevant and credible programs for mitigating home hazards. ACAC credentials are being required for many state licensing requirements and local government contracts. Mold inspectors are not regulated by federal, state or local government. Therefore, licensure is not required in California. Click on the ACAC logo to verify the certification is in good standing. Yes. SDMT carries worker’s compensation and professional liability insurance policies. SDMT liability is limited to the fee for service. Do you use thermal imaging cameras? We do not have thermal imaging (TI) technology to detect temperature variations within walls and other inaccessible areas. TI cameras are confused with mold detection technology. Generally speaking, TI cameras are not useful for detecting mold because mold contamination can exist on a dry surface that has no temperature associated with that surface. Do you belong to the Better Business Bureau or other trade associations? SDMT is a member of the Indoor Air Quality Association, Inc. and accredited with an A Rating by the Better Business Bureau. Click on the logos to verify that Same Day Mold Testing, Inc. is in good standing with each organization. Is there a fee for someone to come out? Inspections are available Monday through Thursday between 9 a.m. and 5 p.m., 9 a.m. to 3 p.m. Closed on weekends. Other hours are designated for office duty. How soon can an inspector come out? Our commitment is to offer an appointment the same day you contact our office. Depending on the work load of our inspectors, it may have to be an evening appointment. The fastest way to schedule an appointment is on our website: Click here. The appointment is based on a two hour window of time e.g. 10 a.m. to 12 p.m., with the goal of arriving at the beginning of the window and being gone by the end of the window. Job overruns and traffic can and do influence arrival/departure times.An inspector will keep you apprised on appointment commitments. You can also email us at: samedaymoldtesting@gmail.com. The average on-site inspection takes one hour. The average commute time is one hour. And the average report time is one hour. The total average is three hours from the time we take your call until the time we deliver your report. What should I do before an inspector comes? We advise that you close all doors and windows several hours prior to the inspection to ensure the best air quality sampling. It will also enable us to smell the musty odors you report during the phone call. We also advise that you clear out the contents (bottles, boxes, etc.) underneath sinks so that we can see the floorboard and back wall around plumbing. This will ensure that we don’t damage your items and that we can move through your property more efficiently. An inspector will call prior to arrival to let you know he is on the way.Turn off any air filtration/purification devices 24 hours prior to an inspection, or as soon as you schedule an appointment. Does Same Day Mold Testing cover other parts than just Southern California? SDMT provides services for those located in Southern California, spanning from Los Angeles to Palm Springs, San Diego, Santa Barbara and the Antelope Valley. We’ve been as far as Bakersfield too! Contact us to see if we can serve you! How much does it cost to have an inspector come out? Same Day Mold Testing inspection fee pays for a visual inspection, relative humidity readings, moisture readings of construction materials, and an inspection report with recommendations. Delivery of report depends on turnaround time of lab results. It can take up to 10 business days for a written report depending on the field workload and the demands of a “same day” brand. Is there an additional fee for inspecting crawlspaces or attics? $150 for each additional space (Inspector’s Discretion). These spaces are usually dirty and hard to negotiate. As a result, we wear additional gear to ensure our safety and to enable us to perform sampling as needed. Each space can require an additional 1 to 3 hours of time. There is an additional charge of $50 for the report from the inspection of the crawlspace. What are other additional fees that may be added? $50 is the additional fee to travel outiside of L.A County. It is usually for neighoring counties. In some circumstances, it may double (e.g. Kern County). This covers the cost of additional fuel, tolls and vehicle wear & tear. $200 is the additional fee for No Access. No Access/Cancellation is when an inspector arrives at the location (30 min max wait time) and is not able to enter the property or the appointment is cancelled after the inspector is en route. How much is each sample that may be taken during the inspection? Samples are collected from the air, wall cavities, bulk or from the surface depending on the level of validation sought from the analytical component of the assessment. The per sample testing charge is an addition to the inspection fee. The lab provides a report of findings. Lab turnaround time starts when the samples are received by the lab. Our preferred accredited, independent laboratory is www.LATesting.com. When will I receive my lab results? Lab results notification largely depends on the turnaround purchased. Verbal notification satisfies the lab result commitment. Either a phone call, a text message or email satisfies verbal notification. The actual lab results are delivered with the report, which can take several days. Some factors that influence report delivery is the end of shift for the inspector, training, weekends and holidays. But verbal notification satisfies the lab results commitment. How long will it take to receive my report? Delivery of report depends on turnaround time of lab results. If no samples are collected, we can usually deliver the report same day or next day. It can take up to 10 business days for a written report with 1 week lab results depending on the field workload and the demands of a “same day” brand. Holidays, weekends, training, illness, termination, emergency, and jury duty are excluded from delivery time frames. We recognize the report is an important document and want to get it to you as soon as possible. What’s involved in writing a report? Cash, Check, Credit Card, Paypal, or Invoice for Property Management only. Company policy is to collect payment at the time of inspection. If you are not going to be on site at the time of the inspection and are not business or property manager, you will need to provide a method of payment prior to the appointment to ensure payment for services rendered. In some cases, the person responsible for the payment is not on-site. 1. Feel free to mail a check to our office. 2. Pay by credit/debit card on our website Pay An Invoice. Refer to the Job Reference # when making your payment. 3. Paypal using our email address samedaymoldtesting@gmail.com. Refer to the Job Reference # when making your payment. I want to mail a check. Where do I mail it to? Same Day Mold Testing, Inc.
Who will see the results from the inspection? Our Company Policy is that only the customer/client that paid for the inspection is given documentation or specifics about the inspection. For example: A tenant wants to know the findings of the inspection that was paid for by the landlord or property manager. They would not get that information from SDMT unless we have something in writing authorizing the release of the inspection report and/or lab results. We encourage other interested parties to contact the paying customer or client to obtain specifics about an inspection and/or lab results. We comply with all legal requests for information, such as subpoenas. We do not share our documentation with government agencies. What is my access to information stored about me? » See what data we have about you, if any. » Change/correct any data we have about you. » Have us delete any data we have about you. » Express any concern you have about our use of your data. What security measures are used to protect my information? Use the form below to contact us and we’ll get back to you as soon as possible. © Copyright 2019 Same Day Mold Testing, Inc. All Rights Reserved.